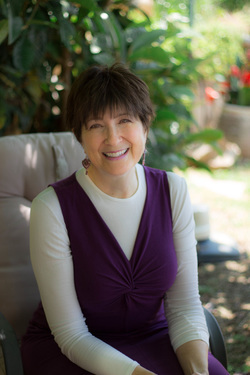 Award winning author and international speaker, Laya Saul is an engaging speaker connecting heart-to-heart with her audiences. Participants gain real tools to overcome obstacles and become inspired and uplifted. She has an MA degree in Applied Psychology and has spent hundreds of hours of continuing study on positive psychology. In addition to Nurturing Women programs, Laya is the developer and host of “The Writer’s Intensive Retreat” and “Level Up Galilee!” mastermind group. Keynote speaker at the Chabad Women’s Conference (Nishei Chabad) in Boulder, Colorado, she’s spoken for the JNF, women's groups, teaches at Sharei Bina Seminary, and is a guest speaker for visiting seminaries or other programs. Broadly published both in print and online, she is best known for her award winning book You Don't Have to Learn Everything the Hard Way. She is currently working on two new books, "Sisterhood of the Copper Mirrors: Ancient Stories & Feminine Wisdom of the Matriarchs" and "But You Look Good: A Slice of Life Looking at, Laughing at, and Learning from Multiple Sclerosis"